Hi, works a treat apart from ipad? Is there any easy way to get the images to change every x amount of seconds? Not at the moment. I’ll include such feature on a future update. Let’s say this is buying time for malihu and the future update. I know we are all busy with projects and life. So feel free to use my quick modification/addition to the script. Just Add the code snippet at the end of malihu’s script. I kept it very simple. The slideshow will stop just after clicking any “a”-link. I didn’t include a start/stop function as i did not need it, but it should be easy to modify the code to include such functionality. Just define a class instead of “a” and call a second function to start the slideshow again. The code snippet should be pretty much self-explaining. Important: Before someone bumps into this problem! If you use other navigation elements or links besides them provided by the image gallery, you need to drop the e.preventDefault in this example. Otherwise it will prevent additional individual links/navigation elements from working properly. As I said before its used for a project and was fine for me as I didn’t use any other navigation elements/links. I’ll work heavily on this gallery and its thumbnail scroller in a few weeks. I’m currently updating the custom scrollbar plugin and sideways gallery which is very time consuming, so updates can get a bit slow… Thanks again! You’re welcome. I appreciate you work with both scripts and feel honored to add a small modification that might help fellow developers. If you don’t mind please add the changes I suggested in the second reply to my first reply/post. This is fantastic… Thank you! I wonder though, is there a way to delay the first change of image until the first image actually loads? Since the first image takes a few seconds to load, it is only displayed very briefly before it transitions to the next slide. I’m very new to php, but I guess there is a sleep() or .setTimeout function that may be able to do this but I haven’t been able to make it work. thank you veeeeery much you are great! malihu, thanks to you too, OF COURSE! This script tag seems to be the culprit of might site breaking. How do the preloader only loads once per picture and not be repeated in each see that Let us review the already loaded? The strange part is that the code on this page is identical: http://sebastianbiermanlytle.com/galleries/photos.htm, and your gallery works just fine. I’ve been checking for discrepancies but haven’t found any. 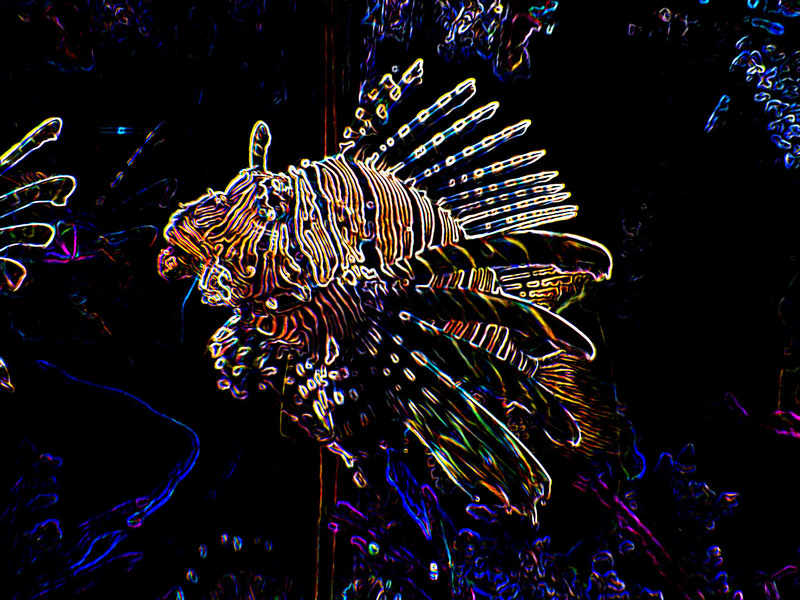 I get “Internal Server Error” when I try to access directly the file: http://sebastianbiermanlytle.com/galleries/_dm-photos/lionfish4.jpg so the script cannot load it. Great Script you wrote man!! Is it possible to use vimeo urls or iframes? well, probably my request was not worthy to be answered (I understand I should know at least the basics) but I’m stuck here and I need to solve the problem somehow. Please, I only ask you if it possible to link the code outside (yes or no) so I may start researching how to do it myself or involve someone else expert to do it for me. Thank you Mahilu, you answer wiil be greatly appreciated. Sorry for late replies. It’s not that requests are not worthy, it’s that I get a lot of them. Tutorial is excellent, thanks a lot.. Can i add “auto play” options too? Could anybody please explain how can i add “auto play” function?? I wrote a couple of functions that allow a “timed” gallery to act like a slideshow. When you click “play” the toolbar button changes from “play” to “pause” and automatically hides the thumbnail bar. I have also added a button to “hide thumbnails” manually. I was wondering how to make thumbnail container fade out automatically after for example 5 seconds? i know this the part for fade in and out thumbnail but how to add code like i said before. Change the number at the end(5000=5 seconds) to your preferred fade out time. This code certainly helped, but had one small issue: if you start hovering the thumbnails wrapper within 5 seconds it still fades after 5 seconds, which is a bit confusing. This line will stop the timer and the wrapper will stay visible. Once more. When I (in maximized window) quicky move with mouse totally to left side on thumbs, scrolling is stopped (not on first thumbnail) . On the right side it works ok. Sorry for my English, please. Thanks. Hi! I have a very important question. I’m designing a portfolio site using this code. Is there anyway to load seperate galleries from the menu? I’ve managed to replace the thumbnails with 2 links, one called gallery 1 and one gallery 2 (the customer doesn’t want thumbnail images, just links that load the big pictures and from there clicking to next and previous images). Gallery 1 should load the large fullscreen images from the folder “img/gallery1” and Gallery 2 should load from “img/gallery2”. That works, but once the large images are loaded, Gallery2 continues after the last image in the gallery2 folder to the gallery1 folder. How I can have only images shown in each folder and not all folders??? Nevermind!!! Got it to work, just removed all if last/first codes and works like a charm now with seperate galleries! What you achieved is exactly what I was looking for mine and my friends galleries. Great gallery! Is it possible to make the Hover function of the thumbnails stay lit after clicking? I would like to highlight the thumbnail that is currently being displayed. Such as, on opening the site, the first thumbnail would have a 100% opacity. Click next, and the second thumbnail would have 100% opacity, while the first thumbnail returns to the dim state. Has anyone else been able to accomplish this effect? I know that this message is a little old but did you fixed the thumbnails stay lit after clicking ? If yes, i’m very interested because i need it too for my website. Try a onclick/click function combined with addClass/removeClass function and modify your stylesheet through setting up two classes(lit/non-lit) using different opacity for each of them. You can even use/modify the given functions for the mouseover/mouseout events. Sorry for not posting any code snippet, but I believe you figure that out and learn something new about using Jquery. this is great, well done, love it! I really want it to work on iPad, so is there a way to stop the thumbnails moving on hover so that they become static, visible at all times, and allow the user to scroll horizontally (manually)? Or having thumbnail scroll buttons would be good. I followed the link but the page appears to function the same with thumbnails moving on hover. I’ll play around with the code and see if I can figure something out. Sweet code! I have 1 issue however with the scroll action, if I move the mouse out of the container and re-enter at another point it calculates a move, which scrolls the intended image away. Does anyone have a way around this? 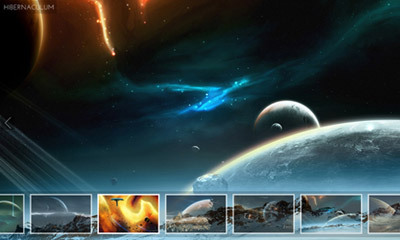 This is a great gallery, would it be possible to incorporate a HTML5 fullscreen option. like pressing F11. Then it would be awesome. Can we open the gallery in light box or popup? This is sick. Anyone able to get the thumbnail scrolling to work on iPad? Great work! But when I quicky move with mouse totally to left side on thumbs, scrolling is stopped (not on first thumbnail) . On the right side it works ok. Sorry for my English, please. Thanks. i olny can say, congratulations! very very nice! i really like it! thank you very much! is it possible, and how, that there will wie shown content over the background image? the text would also change like the background image. it would be below the shown image title. it would be really nice, if you could help me. i’m just wonder why it doesn’t scale my image in the original view mode but only if i set it on normal! I’m not so great with jquery and i find really hard set up the script! Im really appreciate your tutorial thanks for including it on your jquery fullscreen gallery…Mabuhay!!! Cheers! Hello, congratulations for the excellent tutorial. I wonder if there is a possibility to make the background images go changing it without clicking next and prev. I want to leave the prev and next but I want the images to change automatically as well. It would be very grateful if you could help me and thank you in advance. I noticed this doesn’t currently work well with a Touch device. Would it be possible to use a timer and swipes events to ‘run the show’..
UI Comes up for X seconds then fades away. When UI up.. swipe left right (anywhere on screen) moves the thumbs.. When UI up is up.. This should then not be overridden by the new iOS5 notifications gesture, as it originates from inside the app/ui area out. I think it would really polish this plugin for nearly any device.